In 2012 our coach educators worked 20,928 hours “In Community” Hours in 13 countries working with 214 local community partners. Our “Coaches Taught” number was 1767 local teachers, coaches and leaders and our “Children Impacted” was 119,087 young people in their community. We have distributed $45,655 of soccer equipment, been interviewed more than 112 times by local press and tv, and written 30 WISER Monitoring and Evaluation reports. We’ve filmed 1 new documentary. The Coaches Across Continents founder travelled more 89,000 miles and our On Field strategist has travelled more than 69,000 miles! For 2013 we have already accepted new partner communities in 5 new countries but unfortunately the demand is so great that we had to turn down more than 365 partnership requests in 2012. In 2012 we won 2 prestigious global awards for our work in Sport for Social Development. 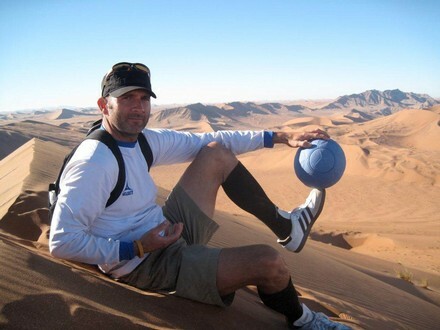 In 2013 we launch our first ambitious marketing partnership with One World Futbol where for every new ‘like’ at www.facebook.com/coachesacrosscontinents we receive a soccer ball that we pass on to our community partners. Our aim is more than 10,000 soccer balls. Previous: Great GOAL in Ghana!